How active is your business on social media? Many of our clients simply don’t have time or staff to dedicate to a posting schedule or content creation because they’re loaded with other day-to-day operations of simply running their businesses! An active social media presence is critical, but requires attention, knowledge, and creativity… and, let’s face it, time. 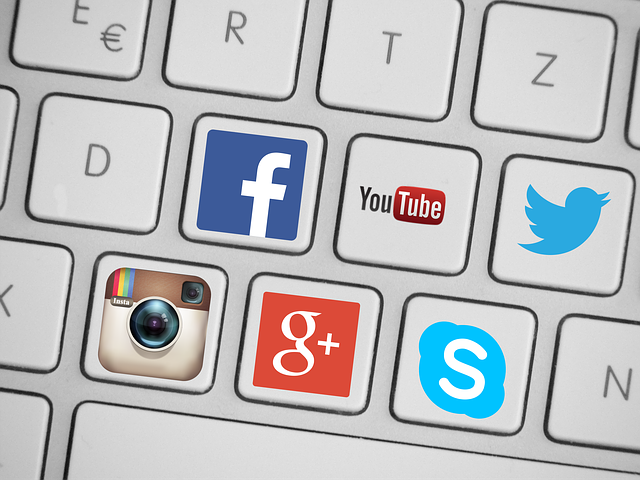 If you’re looking for ways to manage your social media in-house and maintain your business’s voice online, here are our recommendations as well as some questions to ask yourself. How much time do you have to devote to social media? Time is a valuable resource, and you want to make sure you’re balancing it wisely. At first, dedicating a lot of time to social media can seem like a waste, but you’d be surprised just how much of a return you can see by staying active online. With tools like Zoho Social and Hootsuite, it becomes easier than ever to maintain an online presence while attending to your other responsibilities. These free or low-cost programs let you schedule posts ahead of time so you don’t have to worry about logging on each day to post, and they can also track how many people are interacting with your profile. When you decide to start on your brand’s social media, your company should plan on dedicating around an hour a day to getting the accounts started, queueing posts, and connecting with your social media audience. Do you know how to be social online? Learning to engage with your followers personally online can be a tricky skill, but there are plenty of resources online for learning to establish a social presence for your brand. It takes energy and creativity to engage people online, but just like with anything else, it gets easier with practice and experience. In the growing internet world, presenting your company with professionalism critical. You may already have some employees who are familiar with the skills it takes to be social online, and they may love to take on the challenge of being the online face of your company. How strong is your brand voice? Brand voice is everything on social media. Depending on what kind of company you are and what services you provide, your brand voice can vary greatly. Whether you decide your brand voice should be informative, uplifting, or sarcastic, ask yourself– why and how does this brand voice benefit my social media presence? See what your competitors are doing, as well as some of the companies with large online followings. Once you’ve established your brand voice, stick to it! Being reliable as a brand is important, so you’ll want your audience to know what to expect from one of your business profiles to the next. What kind of content do you have or need? Making content is easier than it used to be with all the tools offered online. With just an eye for design and some practice, you can use programs like Canva to create new visual content for your social media sites. Again, don’t be afraid to look up resources on the internet to learn how to create graphics and visual content for your brand. Other good sites to use in conjunction with your content creating programs include Pexels, Unsplash, and plenty of other free stock photo websites. Posting your newly made content in addition to your brand voice can really make your company stand out as a whole on social media. It’s great when current or potential customers engage with your brand on social media platforms, however, you have to have a plan for response. Whether the engagement is positive or negative, you must be prepared to respond. Having a social media presence without interactivity is akin to having none at all. When creating your social media plan, determine who will respond and your typical response time. That person should be responding to comments, messages, questions, and everything within a reasonable amount of time. Your audience will see it and appreciate it! Trying your hand at in-house social media can be a fun creative outlet for you or a team of your employees. In the beginning, more time will need to be dedicated to getting it off the ground, but you may see this time pay off quickly as your audience grows. Social media is a great way to get information to a large group of people quickly, which may be a great payoff in and of itself. Studies show that most people will research a company or service online before making a purchase, so putting your best foot forward online can be a huge step to making your next sale. Conduct some research before you dive in; see what other companies do that works and doesn’t work. Create a social media plan with your team, including how often you want to post and what websites you will be posting to. Once you’ve gotten the hang of using social media for your brand, consider using paid ads to drive more traffic and sales to your social media sites! We at Results Repeat are dedicated to helping you find out what will work best for your business, including paid ads, SEO strategies, and website design. To learn more about our social media content creation services and how our services can complement your social media efforts, contact us!